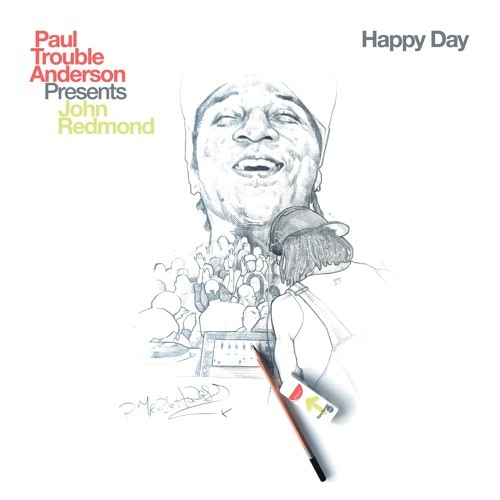 Buy / Stream: https://orcd.co/happy 12" vinyl available here: https://paultroubleanderson.bandcamp.com/album/happy-day-feat-john-redmond BBE Music bids a fond farewell to UK music hero, the Legendary Paul ‘Trouble’ Anderson, with the great man’s final production: a stunning soulful house version of gospel standard ‘Happy Day’. A pirate radio and club DJ since the 1970s, the influence of Paul ‘Trouble’ Anderson on UK music simply cannot be understated. From his early days throwing shapes and honing his formidable skills behind the decks at London club ‘Crackers’, through his years at Kiss FM, to enchanting a whole new generation in recent times with his Bussey Building residency and on Mi Soul Radio, Paul’s was surely a life well spent: spreading joy through music. It is fitting then, that his final production is a characteristically up-beat, ebullient and spiritual one. First arranged in a gospel style by Edwin Hawkins in 1967, ‘Oh Happy Day’ has become beloved the world over thanks to its comforting message and uplifting harmonies. Featuring vocals from the dearly departed John Redmond (RIP) and drums/programming from Frankie Dark (aka Booker T), PTA’s ‘Happy Day’ provides an ecstatic, anthemic soulful house update; a truly breathtaking and beautiful way to say goodbye. The package contains a pair of piano-laden dub versions, plus instrumental and reprise mixes, giving a versatile selection for DJs to choose from, with stunning original artwork by Richard Wilson. probably standing over two turntables up there right now.